Easy-to-use white clay makes solid, durable forms without the need for an oven or kiln. Smoother and less sticky than traditional clay. Softens with water and quickly cleans from hands and surfaces. Easy-to-use white clay makes solid, durable forms without the need for an oven or kiln. 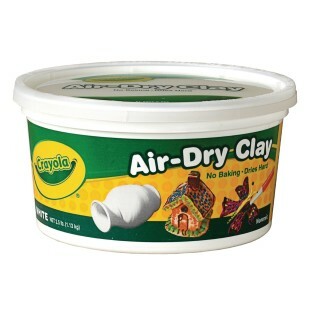 Smoother and less sticky than traditional clay. Softens with water and quickly cleans from hands and surfaces. Paint with tempera, acrylic or watercolors when dry. Non-toxic. 2.5-lb. bucket. Was very squishy hard to get out with finger nails. But did the job and dried nicely. This work well with any age. I love the fact it air dries. 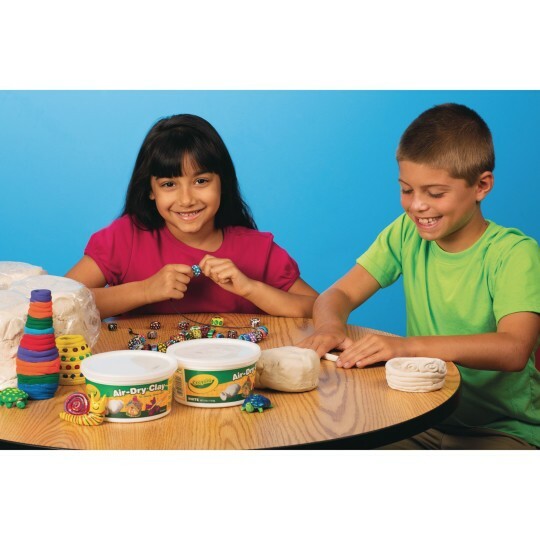 I have used this product with special needs adults and it is great. We used this product to make Christmas ornaments and it worked great!